Vicodin is one of many available brands of a prescription medication comprised of two substances: hydrocodone and acetaminophen 1,2. Hydrocodone is an opioid painkiller used to treat high levels of pain. It is also used to relieve cough. Acetaminophen is a pain reliever used to treat minor pain and reduce fever. Vicodin and other products containing hydrocodone are the most frequently prescribed opioid medications in the U.S 1. 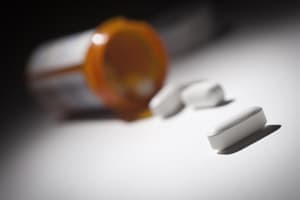 The Drug Enforcement Administration (DEA) reports that more than 136 million prescriptions for hydrocodone products were written in 2013 with hydrocodone/acetaminophen being the most common combination 1. High prescription rates often correlate with high rates of abuse—in the case of Vicodin and other similarly formulated drugs, there are more than 24 million people abusing hydrocodone products. The risk of Vicodin addiction and dependence increases markedly when the drug is abused, but adverse effects are also possible when Vicodin is used as prescribed 1,2,3. The DEA lists Vicodin and all hydrocodone products as Schedule II controlled substances due to their abuse potential 1. Quitting use is, of course, a prerequisite for recovery from Vicodin addiction, but when a person dependent on the opioid stops using, very uncomfortable withdrawal symptoms arise 3. 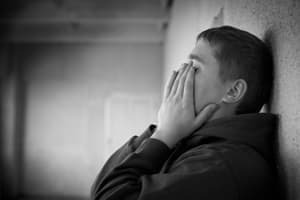 These symptoms can create new issues and worsen preexisting physical health and mental health concerns, which can result in serious complications. Will A Rehab Center Help? Obtaining Vicodin prescriptions from different doctors without informing those doctors of past problems or prescriptions. Needing frequent refills on the prescription. Taking a larger dose than prescribed. Taking the pills more often than directed. Taking Vicodin without a prescription. Noticeable intoxication, marked by euphoria, drowsiness, incoordination, memory problems, or stupor. Intravenous effects, such as track lines, puncture marks, abscesses, scars, or lesions. Intranasal effects, such as nosebleeds or perforated nasal septum. Long-term Vicodin abuse can progress into an addiction, a chronic condition characterized by compulsive use in spite of harmful consequences. Vicodin addiction is almost always accompanied by dependence. When someone is dependent on the opioid, they are likely to experience withdrawal symptoms with the sudden discontinuation of use. People who attempt to detox alone are at risk for relapsing due to these unpleasant symptoms. Withdrawal symptoms will begin between 6 and 12 hours after last use. Symptoms often peak between 1 and 3 days. Symptoms begin to subside within 5 to 7 days. Pain: Vicodin works to change the way pain is perceived in the body. With the absence of the opioid medication, an individual can expect to experience increased sensitivity to pain and discomfort, which can be difficult to manage. Dehydration: With the tendency to lose fluids during detoxification, dehydration becomes a concern. With dehydration, there is a danger of electrolyte imbalance as well. Heart problems: As illustrated, Vicodin withdrawal triggers many effects on the heart and cardiovascular system. This can cause hazardous cardiac effects, especially if the person has preexisting heart issues. Mental health concerns: Detoxing is a stressful time that may give rise to mental health issues such as depression and anxiety. Symptoms can be severe in some cases. Overdose: Some people may be unable to avoid relapse while detoxing from Vicodin. This can end in overdose and death, though, as their tolerance will be reduced. Inpatient/residential: An inpatient/residential setting may be best for people with significantly severe addictions and serious risks associated with detox. Offering 24-hour care, these programs can manage symptoms while providing a safe, supportive environment for the individual to reside during treatment. Hospital: Hospital detox offers intensive, around-the-clock support and monitoring in the intensive care unit or other acute care setting. Some people may wind up detoxing in the hospital after experiencing a medical emergency. Outpatient: Less intense, outpatient options can be located in standalone clinics, doctors offices, and community health centers. Outpatient detox means that the individual can stay at home, work, and tend to other responsibilities between appointments. Outpatient detox and treatment interventions will be a better fit for people with strong supports and fewer medical or mental health issues, if any. For many, Vicodin detox is vital, but it is not enough to maintain a drug-free life 9. No matter the stage of recovery, professional addiction treatment is a beneficial tool to maintain sobriety, connect to supports, and improve coping skills 9. U.S. National Library of Medicine: Medline Plus. (2017). Hydrocodone Combination Products.